For years, Compuquip has provided top-notch service and results as a managed security service provider (MSSP) for Floridian and Caribbean companies. From security information and event management (SIEM) co-management, firewall management & monitoring, and endpoint security management to frontline vendor support, Compuquip is here to help protect your business. No business is 100% safe from modern cyber threats. 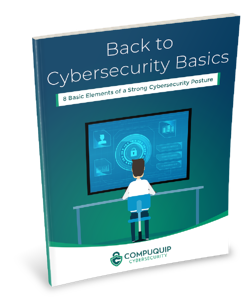 However, businesses can minimize their risks by looking at their current cybersecurity architecture and verifying that their network security solutions are implemented properly—a task that Compuquip’s team excels at. Compuquip’s Florida-based team of cybersecurity experts are well-versed in penetration testing methods—having helped companies in many different industries thoroughly examine their network security for hidden vulnerabilities so they could be eliminated. Having a strategy in place for managing threats and responding to network security incidents can mean the difference between containing threats before they become serious and a devastating breach. Compuquip’s team can help you craft the best incident response plan (IRP) for your needs. CISOs serve a critical role in managing your organization’s cybersecurity strategies. Compuquip’s Florida-based team of cybersecurity experts can fulfill this critical role for your organization for a fraction of the expense while providing dedicated CISO service and support. It is our mission to help businesses throughout Florida and the Caribbean better protect themselves from modern cybersecurity threats by leveraging our years of combined experience in tackling network security challenges. Still Not able to find what you’re looking for? Protect Your Business with Help from a Florida Cybersecurity Company!